Dr. Vernon O’Berry, JR. and his highly-trained staff are committed to providing patients comprehensive and compassionate dental care. Whether you need a general cleaning, restoration, or cosmetic care, Drs. O’Berry, JR. and Robyn K. Marshall cater to patients throughout the Norfolk area. Our office is located inside the CKHD (Children’s Hospital of The King’s Daughters) Medical Tower, near the Eastern Virginia Medical School. We look forward to serving your smile! Our cosmetic services include teeth whitening, fabricating trays for in-office treatment as well as take-home options. While we do not place dental implants, we do work with a local lab to fabricate restorations such as crowns, bridges, and overdentures. We also provide natural-looking fillings for patients recovering from cavities. Our Norfolk dentists work with families, helping teens and seniors alike with issues like bruxism and periodontal disease. We teach our patients of all ages the values of prevention, which can help them avoid harmful conditions and invasive treatments. For over thirty years, Dr. O’Berry has provided comprehensive dental treatments to clients in Norfolk. We make your health a priority, and strive to leave you with a smile that accurately represents your well-being. We take the time to determine if your oral health is up-to-par, providing treatments to ensure your continued health throughout the year. Our dentists provide care at your pace, as well as patient education on recommended services so that you can play a part in your treatment plan. Preventive dental services, cleanings, and thorough examinations yearly allow for you to stay on top of your oral health. For advanced treatments, we work with a network of trusted specialists that we can refer you to. We focus on providing the highest quality of preventive care possible. If you need dental assistance in the Norfolk area, Dr. O’Berry and his associates are more than ready to improve the function and aesthetics of your smile. We offer compassionate care and enjoy working with our clients to achieve the smile that they deserve. Call today to schedule an appointment! 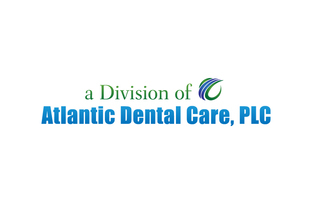 Vernon E. O'Berry, Jr., DDS is a division of Atlantic Dental Care PLC.